When you Right-click the desktop, a â€œContextâ€� menu appears. Some programs like to sneak in and add shortcuts to their very important applications. If your context menu has been cluttered up, here are some instructions and tips to clean it up. "Cipher.exe is a command-line tool. Microsoft has developed an improved version of the Cipher.exe tool that provides the ability to permanently overwrite (or "wipe") all of the deleted data on a hard disk. This feature improves security by ensuring that even an attacker who gained complete physical control of a Windows computer would be unable to recover previously-deleted data." Developers may consider it heretical, but the icon that appears in the upper right corner of Internet Explorer and Outlook Express can be changed. You can use your own static logo and/or an animated one. All it takes is MSPaint and Regedit. "Free keyboard layouts — called Dvorak layouts — are available for people who type with one hand or finger. These layouts make the most frequently typed characters on a keyboard more accessible to people who have difficulty using the standard keyboard layout (called the "QWERTY" layout). 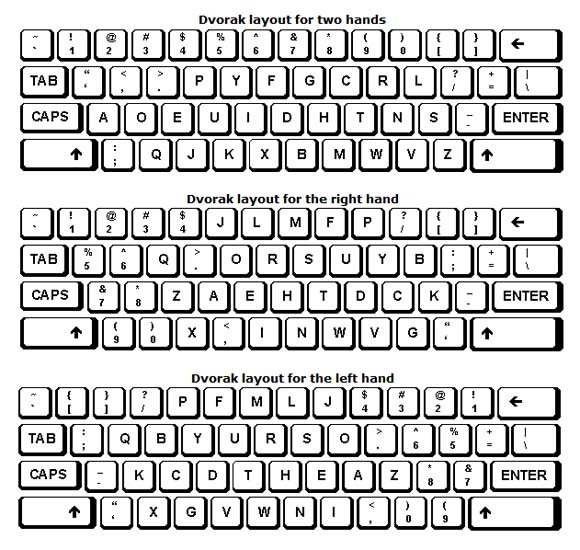 Dvorak keyboard layouts reduce the amount of motion required to type common English text. Use of these layouts may also help avoid some types of repetitive strain injuries associated with typing. Studies have also shown an increase in typing speed and accuracy when using the Dvorak layout for two hands. The left-hand or right-hand keyboard layouts can also be useful for people who type with a wand." You do not need to modify your hardware keyboard to use these layouts, but you will need to change your keyboard settings to use the Dvorak layouts. Rather not use a mouse? MouseKeys is designed for people who have difficulty using a mouse. MouseKeys allows you to use the numeric keypad to control the mouse pointer. Click Start, click Control Panel, and then click Accessibility Options. If you want to use the numeric keypad for data entry as well as for navigation, you can set the MouseKeys to be activated by pressing NUM LOCK. 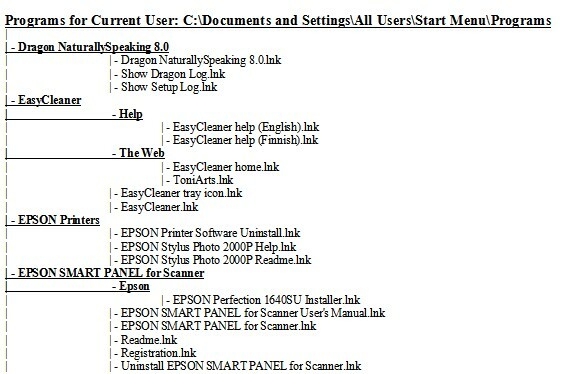 To remove items from the Most Frequently Used Programs list, right-click Remove from this list. However, when you run the program again, it may reappear on the list. You can stop a program from appearing on the Most Frequently Used Programs list. No mater how often you use the program it will never appear on this list. Under this key are a series of sub-keys representing the installed applications. Click Edit, point to New, and select String Value. Type NoStartPage for the value name. Unlike the kids today, not all of us were born with a mouse in our pablum glazed paw. If you have a new user who needs practice using a Mouse, take a look at some of these links. There are some very well done games and some step by step instructions. Washington State University was thought of as a primarily agricultural institution in the past. Now they have burst into today's IT scene with an improvement on an old product. "Paint.NET originated as a Computer Science senior design project during the Spring 2004 semester at Washington State University. Paint.NET v3+ is image and photo manipulation software designed to be used on computers that run Windows. Paint.NET is jointly developed at Washington State University with additional help from Microsoft, and is meant to be a free replacement for the MS Paint software that comes with all Windows operating systems. The programming language used to create Paint.NET is C#, with GDI+ extensions. It has been compared to other digital photo editing software packages such as Adobe Photoshop, Corel Paint Shop Pro, Microsoft Photo Editor, and The GIMP." How many times have you seen these words? "This article contains information about modifying the registry. Before you modify the registry, make sure to back it up and make sure that you understand how to restore the registry if a problem occurs." You can capture motion and sound or compress existing video files for use on the web/pod or screen.
" Windows Media Encoder can capture the screen as you perform a task such as editing a photo; in fact, almost anything you can do on the screen can be recorded as a video. You can even narrate the demo as you record the steps you're performing. It's surprisingly easy to achieve good results in minutes. Probably the only reason the program isn't more widely used is that few people know it exists." Getting Started with Screen Capture Using Windows Media Encoder. Microsoft "removed" regedt32.exe from XP. Regedit.exe's functionality has been merged with regedt32.exe's. In Windows XP and Windows Server 2003, Regedt32.exe is a small program that just runs Regedit.exe. Regedit.exe is the registration editor for 16-bit Windows. It is used to modify the Windows registration database. Microsoft recommends that you use Regedit.exe only for its search capabilities on a Windows NT 4.0-based or Windows 2000-based computer. Regedt32.exe is the configuration editor for Windows NT. It is used to modify the Windows NT configuration database, or the Windows NT registry. This editor allows you to view or modify the Windows NT registry. The editor provides views of windows that represent sections of the registry, named hives. You must use extreme caution when you use it to change registry values. Missing or incorrect values in the registry can make the Windows NT installation unusable. An explanation with follow-up links. Multilingual input locales within edit control fields. Package the resulting keyboard layouts for subsequent delivery and installation. Here is a collection of webcasts about Vista and Office 2007 that you can watch whenever you want.